Valpak of Philadelphia knows the benefits of print advertising; we built our business on it. With targeted direct mail, you target high-income consumers looking for your products and services. You can easily segment your audience by demographics, geographic area and purchasing behaviors to ensure no wasted spend. Each month, 580,000 households across Greater Philadelphia look forward to Valpak’s Blue Envelope of local savings arriving in their mailboxes. Because space in our local direct mailer is shared, each business advertising in the Philly envelope pays less than a standalone flyer. What other Philadelphia ad agencies can say that? Contact Valpak of Philadelphia to reach the right customers today. 1. Compared to the average Philadelphia consumer. Claritas data with current year projections, October 2018. Advertise with Valpak of Philadelphia to measure your ROI with superior accuracy using our exclusive tracking tools. Monitor clicks, views, leads, impressions and more with our performance tracking dashboard and call tracking options. Give us a call today for a free marketing consultation. Fine-tune your business marketing and achieve a greater return on investment from your advertising in Philadelphia, West Chester, Norristown, Pottstown and Levittown, Pennsylvania. Valpak of Philadelphia also reaches cities in adjacent states such as Wilmington, Newark and New Castle, Delaware and Elkton, North East and Rising Sun, Maryland. 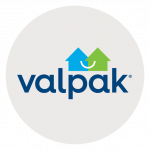 Valpak of Philadelphia is an independently owned Valpak franchise. Keith Morgan, Krispy Kreme donut franchisee in the Greater Philadelphia market, opened his first store in 2010. He tried all types of restaurant advertising – TV, radio, internet, bus shelters – before landing on Valpak. Keith wanted an advertising vehicle that brought in enough customers to justify its costs. When he began mailing with Valpak, he saw an immediate increase in customers and continues to see a consistent return on his ad spend. Keith enjoys how easy it is to work with his local media consultant to modify his offers or rotate his mailing areas to reach new customers. He recommends you seriously consider Valpak as an advertising partner.